H&H offers a complete line of commercial grade wood doors including acoustical, stile & rail, lead lined, and acrovyn. See more about our Wood Doors. 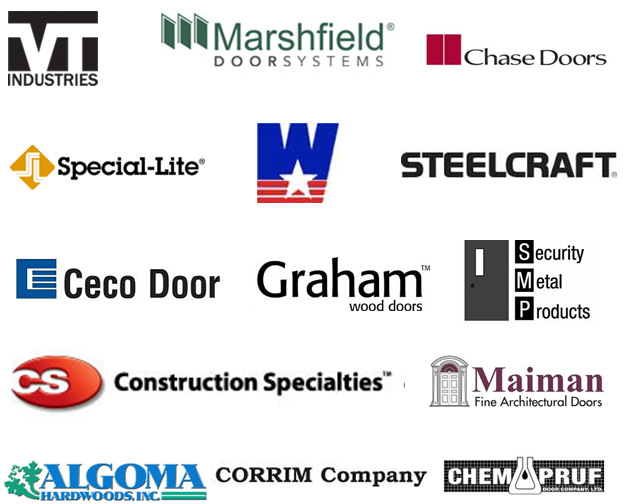 H&H provides a comprehensive offering of hollow metal doors used in a variety of commercial applications. See more about our Hollow Metal Doors. H&H offers acoustical doors with the latest technological advances in the field of sound reduction. 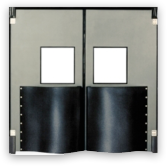 H&H offers blast and pressure resistant metal doors and frames for the protection of people and property and as required by the Department of Homeland Security, Department of Defense, and other public and private corporations and organizations. H&H offers wood and hollow metal doors with enhanced fire ratings that range from 20 minutes to four hours. H&H provides stainless steel doors and frames for a wide range of applications including waste water treatments plants, laboratories, hospitals and food processing plants. H&H offers corrosion resistant FRP doors and frames often used in extreme environments. H&H offers a complete line of impact doors used in a variety of high traffic applications including food service, medical, cold storage, etc. H&H offers roof and floor access hatches for a variety of applications.